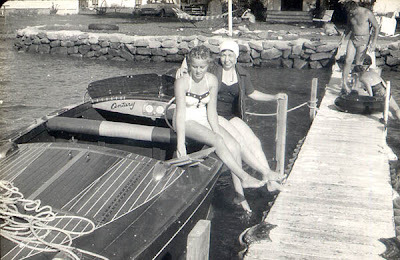 I came across this on Century Classic Powerboat.com What struck me was the wonderful journal that this lucky family has in photographs. This is what its all about. 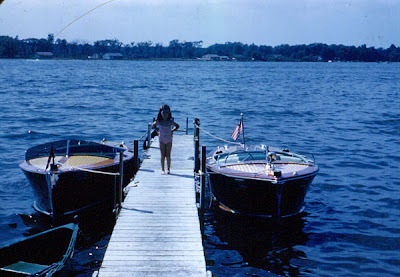 It’s a funny thing when you are blessed enough to know the complete history of a boat. You become the caretaker of the boat, ownership is merely a legal term. You are really just making sure it continues on. And thus you can never sell it, and it will no doubt cost you a gillion times more to restore, because you don’t want to be the one that screwed it up….. but for that ….every time you go out on the boat you are with generations of your family in spirit…. What a treasure. What a fun journey… Click Here and share in the joy! Insane Wind, Downed Power Lines - Woody Boater Plows On! 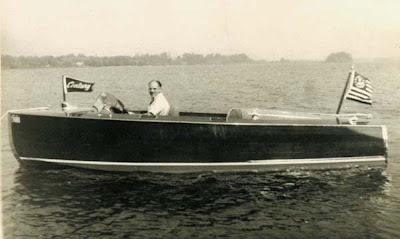 It is nice when there is longevity in the life of a boat because they can be restored. Woodyboaters on the other hand are finite and at some point are unrestorable.